Ed Schrader, Kevin Sherry & Cats on the Lake. This was a fun shoot. 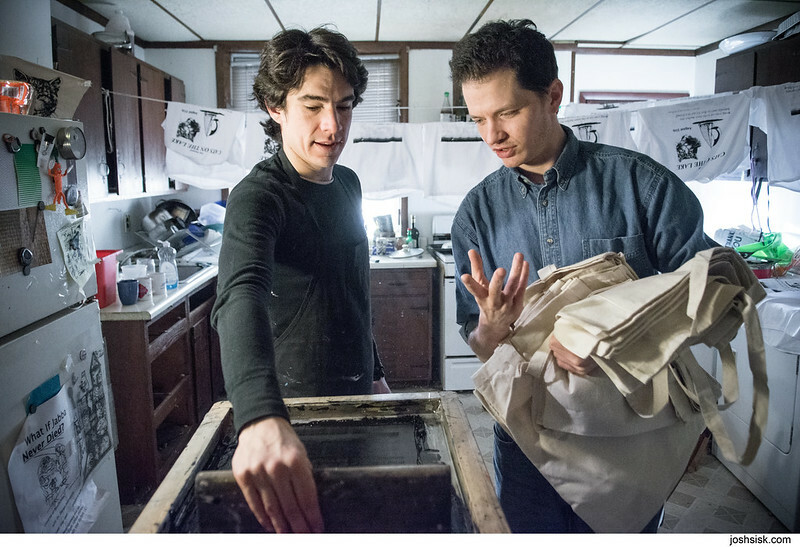 Ed texted me to ask if I wanted to take photos of him and Kevin making ‘Cats on the Lake’ shirts for a City Paper story. Since that’s not the norm, the subject assigning you the photo, I cleared it with the paper and – yep – it was indeed a story. 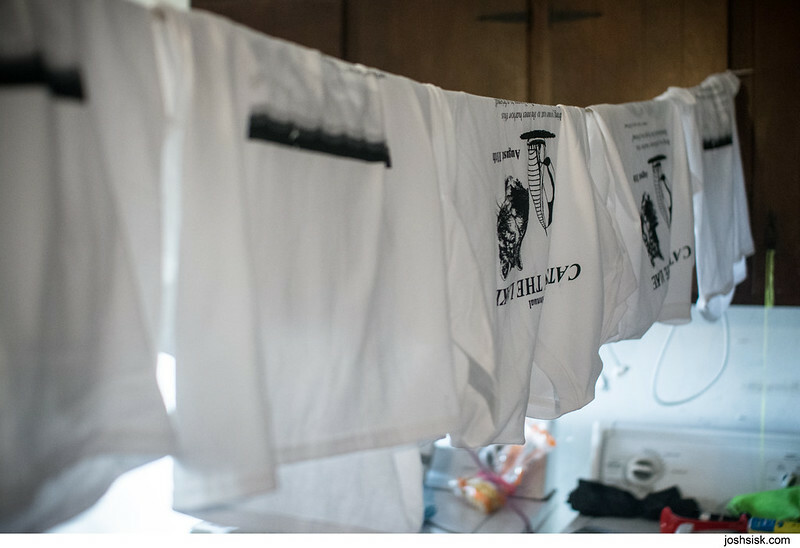 So one afternoon I went over to Kevin’s house/studio and hung with them as they joked, made shirts, and Kevin’s roommate made dinner. You can see his legs in a few of the photos. 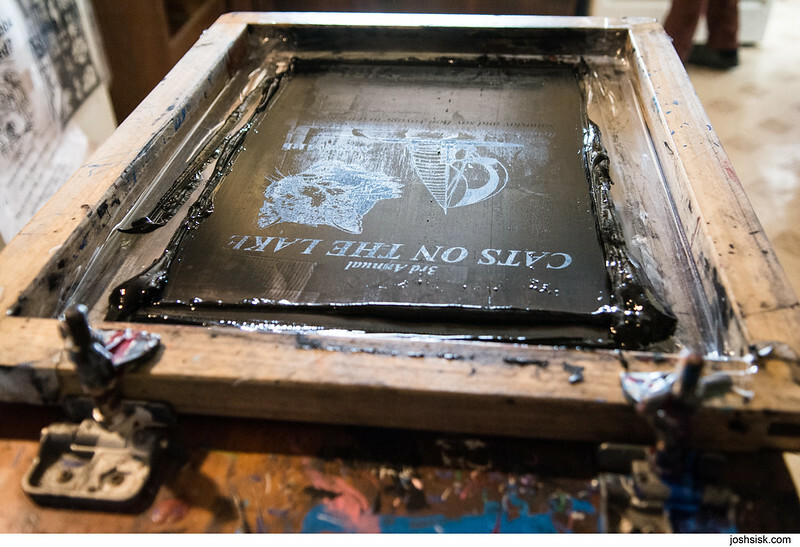 READ THE CITY PAPER ARTICLE HERE. 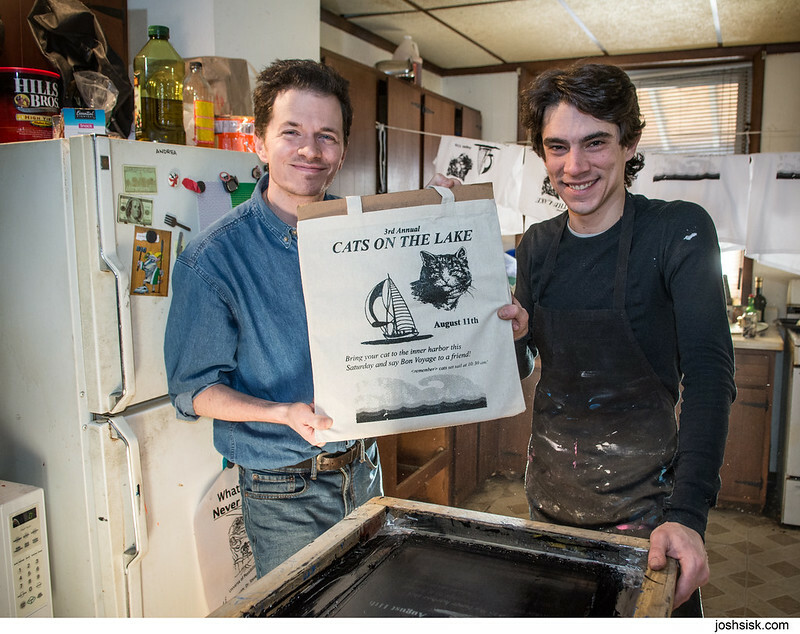 SEE ALL THE CATS ON THE LAKE PHOTOS FEATURING ED SCHRADER AND KEVIN SHERRY HERE.